Christmas is quickly creeping up, but you’ve definitely sorted all of your Christmas shopping by now, right? You’ve got everything wrapped up and hidden away and you’re completely content that you’ve not missed anyone out, and that everyone is going to love their gift…yeah, we didn’t think so. Christmas Day is a joyous time for most, but the lead up to the 25th can be stressful and anxiety-inducing for those who haven’t sorted out their shopping yet. Not to mention that the actual shopping aspect is only half the battle. First, you need to decide what you’re buying for whom. But how often does every single person you need to buy for give you a definitive list of exactly what they want and where you can buy it from? An infinitely helpful idea in theory, but not practised so much in reality. For any lover of cars and/or motorbikes, a 3D number plate would make the perfect gift for them this year. 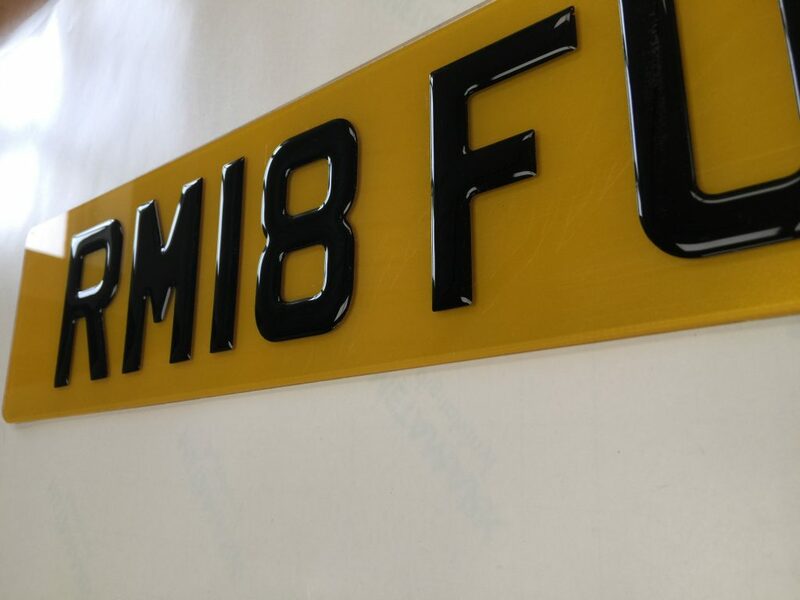 Our 3D plates are manufactured in compliance with Section II of the Road Vehicles (Display of Registration Marks) Regulations 2001, so they are a legal way to increase the overall aesthetic design of a person’s vehicle. The embossed lettering allows for the registration to be raised from the plate itself, to create a wonderful luxury effect. For that person in your life who loves their car or motorbike more than anything else, they will definitely appreciate this unique gift for their vehicle. The problem with a lot of Christmas gifts is that they get forgotten about almost immediately. That pair of woolly Christmas socks will sit in the back of a drawer gathering dust in its original packaging, and that seemingly great rack of spices will slowly rot away on top of the kitchen cupboard, never once being utilised for any recipe until they’re eventually disposed of during the next kitchen clean out. When you buy Christmas gifts, you want something that the recipient will actually use and enjoy. A 3D number plate becomes part of a person’s car, it becomes part of its identity as well as its aesthetic design. 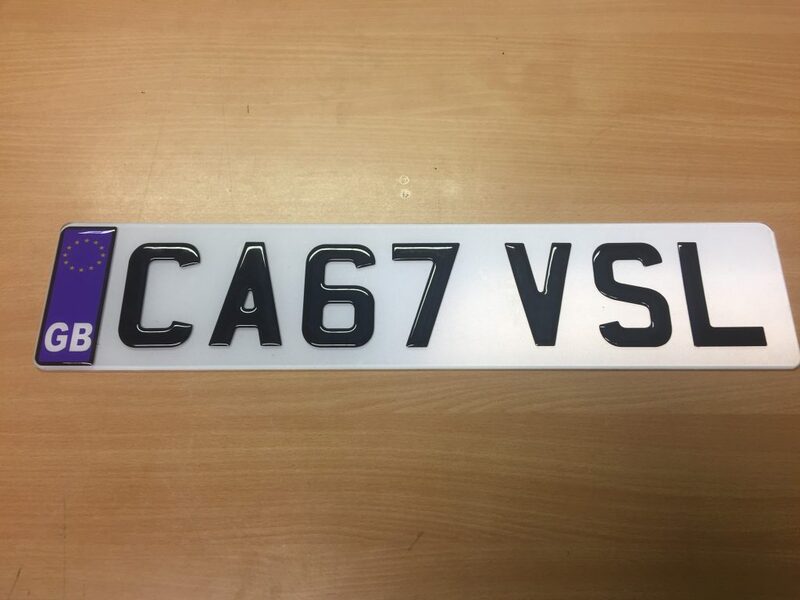 For as long as that person has that vehicle and registration, their bespoke 3D number plate will be valid and useable and will make a great gift that will actually get used. We all have these people in our lives. Whether it’s one of our parents, a sibling or a close friend, we all know someone who is impossible to buy for. It could be that they don’t have any specific hobbies or interests you can pander to, or maybe they are just one of those people who will always buy themselves whatever they need when they want it. Whatever the reason, this person is a frustration every Christmas. One sure-fire way to take away the hassle of buying for them this year is with a 3D number plate for their car or motorcycle. Although it may seem like certain individuals already have everything, chances are they don’t have one of these. They will be blown away with the unique idea and thought put into their gift, and you won’t have to worry about how to please this difficult person for a whole year. A 3D number plate is as unique as you can get when it comes to gifts. At Christmas time, shops will be bringing our generic gift sets and offering uninspired ideas for presents that, whilst perfectly fine, no one will be particularly enthused to receive. For a gift to really bring joy to someone, it should be something that they never would have thought to buy for themselves, and that they didn’t realise they wanted until they had it. A 3D number plate can provide just that; they’re a unique gift that truly shows some thought and effort has been put into its purchase. Give a truly special gift to your loved ones this year with a 3D number plate. At Dash Dynamics, our plates will never interfere with the legibility of the registration marks, so you can rest assured that they won’t raise any issues. The jigs used by companies supplying our 3D number plates ensure the correct placing of letters, achieving perfect results every time. Please feel free to contact us for details of suppliers in your area. Which is the Perfect Font for Your Logo?